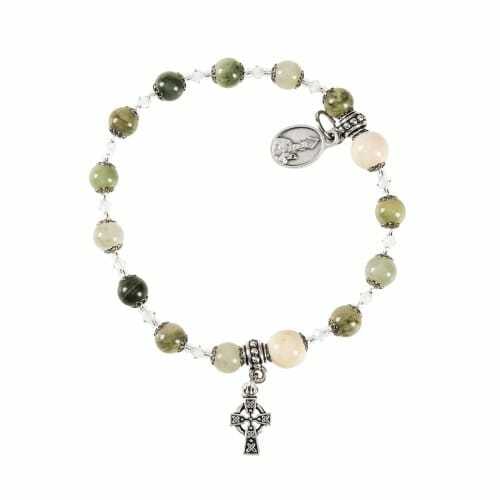 The gorgeous green of jasper and calm cream of riverstone come together in this lovely stretch rosary bracelet. A petite medal of St. Patrick and a Celtic knot cross, along with sweet blooming bead caps, add the perfect finishing touches. Truly breathtaking religious jewelry to be cherished on any occasion by the Irish by blood and the Irish at heart. A handcrafted, Catholic Company Exclusive piece.